This site is an introduction to the art of printmaking. 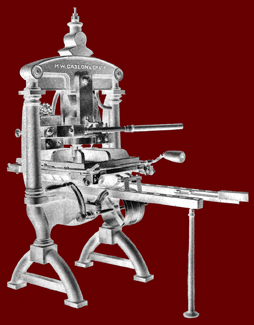 The site contains examples of various printmaking techniques such as intaglio (etching), relief printing and digital printing. 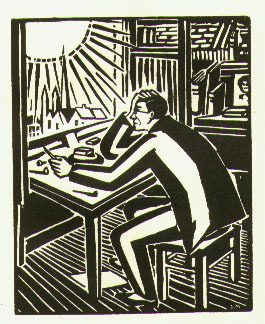 In addition there are references to the social and historical background to printmaking. In addition there are pages listing suppliers, books and galleries that specialise in prints and printmaking. The main aim of the site is to show printmaking as lively, creative art form. The mini print 2010 was the thirtieth anniversary of this exhibition of small prints, which is held each year in the small seaside village of Cadaqués on the Costa Brava in Spain. This year (2011) we were delighted to see so many attractive and interesting prints using a variety of techniques. This delightful gallery with its large exterior wooden doors that open up to reveal an equally delightful courtyard is part of a building modified by the Italian architect Lanfranco Bombelli (Milan 1921 - Cadaqués 2008). The gallery is on two floors, which each year are home to the mini print exhibition and the work of many artists from all over the world. All styles and variations on printmaking are represented. This year the exhibition will also tour galleries in France and the UK. More details will follow shortly. For some time I have been working on printmaking using mixed techniques. This includes relief printing with digital as well as pochoir, spray and hand colouring. Printmaking can be an experimental medium as well as a powerful means of expression. A great deal has been written about the horrors of giclée printing but I feel that, like all other processes, digital printing has its place provided that it is used honestly and is not a means to dupe people into buying copies that do not even aspire to originality.